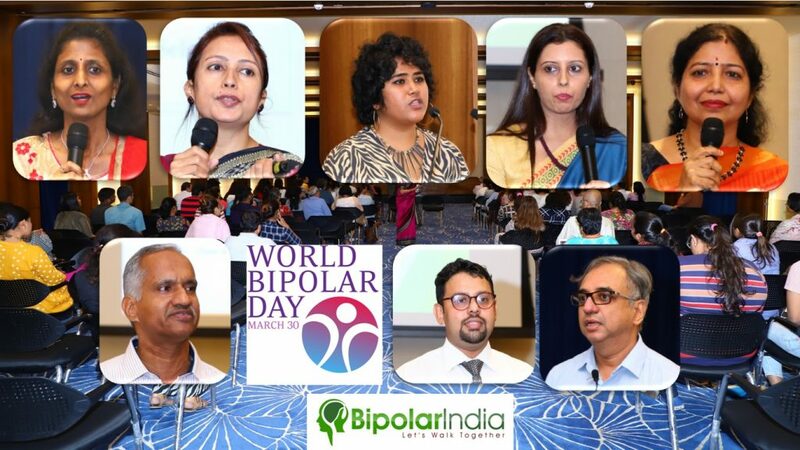 On Saturday, 30th of March, 2019, BipolarIndia hosted its 4th National Conference to celebrate World Bipolar Day at the magnificent S P Jain Auditorium, Bombay Hospital, Mumbai. 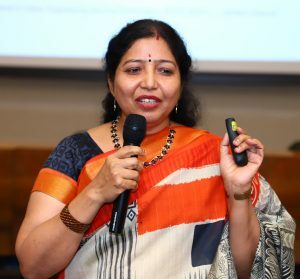 Participants drawn from those living with Bipolar Disorder/Depression, their caregivers to psychologists, students and holistic healers attended this full day Conference. It was heartening to see that people came in from places as far as Delhi, Jaipur, Kerala, Bengaluru, Pune, Nashik, Ahmedabad and Surat. Is there a better way to begin a day like this than with Yoga? 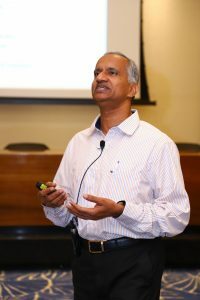 In addition to sharing well researched knowledge on this subject through his presentation, Shrikant demonstrated stretching techniques and pranayam exercises. 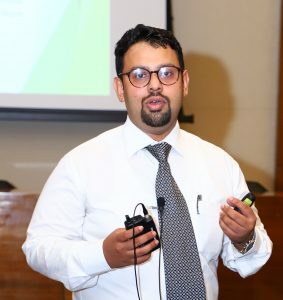 He cited various research papers which have proven the beneficial impact of Yoga in managing Bipolar Disorders The essence of his training lies in the simplicity with which he shares his expertise. The audience actively participated in trying out this learning. All these practices are doable and help calm down the mind and balance moods. ‘By slowing down our breath, we can calm down our mind’ ~ Shrikant. 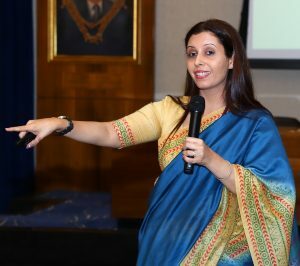 addressed by noted Nutritionist and Dietician, Shilpa Mittal. Well, we all know about the Gut-Brain connection. Shilpa Mittal took our learning to a whole new level altogether. 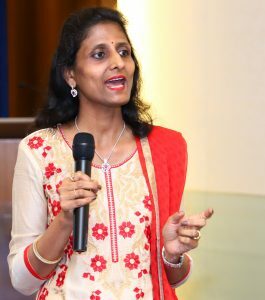 Her thorough talk covered various aspects such as foods that are beneficial in regulating moods, avoidable food categories and how brain chemical production has a direct connect with the food and beverages we ingest. Emphasis was placed on which foods help maximise production of chemicals such as Serotonin. 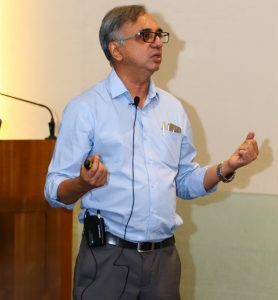 Vijay Nallawala, is Founder, BipolarIndia. He weaved his personal experience of living with Bipolar Disorder for 42 years with a template for those still struggling to cope with the condition. Bipolar Disorder can be conquered, provided we are committed to the chosen path of discipline. He is an advocate of yoga, regular exercise, healthy and balanced diet and above all, a positive attitude while facing challenges. He also traced the year that was for BipolarIndia. His appeal to the sizable number of Psychologists in the audience to volunteer for the BipolarIndia community evoked a gratifying response. The extended morning session ended with a break for lunch. it is always a great time interacting with people~ many familiar faces and then the new faces of first timers. 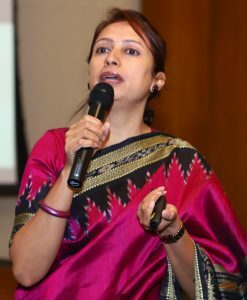 Zeenat, who is also a Panelist with BipolarIndia, banked less on her presentation and chose to make it an interactive session with the audience. She probed us about our attitudes, thought processes, our sense of purpose in life. She drew upon the work of Prof. Martin Seligman in her talk. Hvovi touched on various facets such as watching out for change in moods and dealing with crisis situations such as suicidal behaviour. If care givers receive better psycho-education, it can improve outcomes among those affected with bipolar disorder. She spoke about the need for more research in this sphere. The Caregivers’ Manual brought out by Minds Foundation and BipolarIndia was also mentioned. The impact of legislation, i.e., The Mental Health Care Act 2017 was also discussed along with the voluntary and involuntary hospitalisation and the need to have Advance Directives in place. She drew from her own journey of her job as Educator and simultaneously pursuing higher learning. Incidentally, she has just completed her PhD! Her talk was peppered with witticisms and her sunny disposition was contagious! She has walked the talk and strongly feels that Bipolar Disorder does not mean an end to one’s dreams. She has got immersed into her world of colours, paint brushes, words and profound imagination which help her heal. The poem that she recited in Hindi had us all amazed at the depth of her thinking. We also got a glimpse of her incredible talent through her artworks which were on display at the venue. 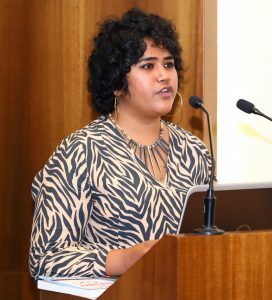 was the talk by Dr. Milan Balakrishnan, Consulting Psychiatrist at Masina Hospital & Bombay Hospital and Panelist with BipolarIndia. His lucid explanation of various moods of Bipolar Disorder such as Depression, Hypomania and Mania, the in-between moods and methods of coping made the topic accessible even to the layperson with little knowledge of the condition. He emphasised on the need for medication because that was the approach backed by evidence and shared the various types of medication used to treat BD. While the side effects of medication become manageable after a while, regular medication ensures that moods remain closest to the desired baseline mood. He also advocated a holistic approach with adequate sleep, exercise and relaxation. We wound up with a Q & A Session to our Panel of experts. The Conference which was scheduled to end at 6.30 pm, finally ended at 9 pm! 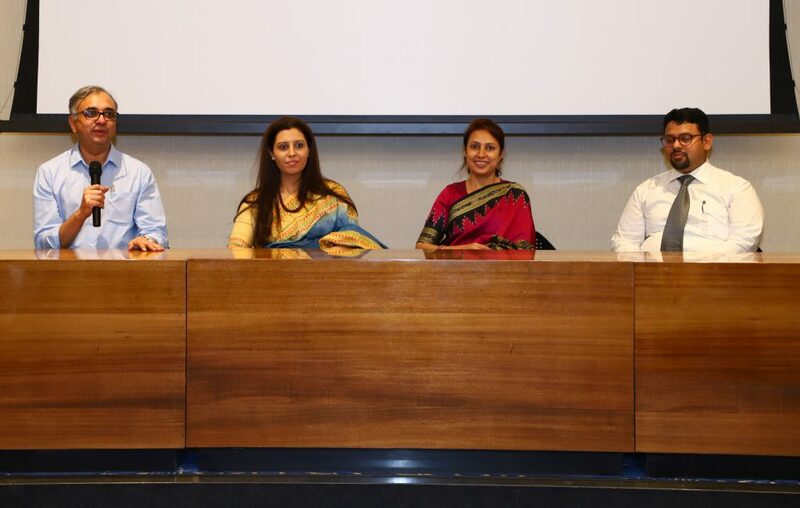 We must thank our Panelists for their unstinted support to our community, the expert speakers who devoted the day to impart learning and our participants (more than a hundred in number) who made it such a vibrant day! And gratitude to the Psychologists from among the participants who have vowed support to our community.